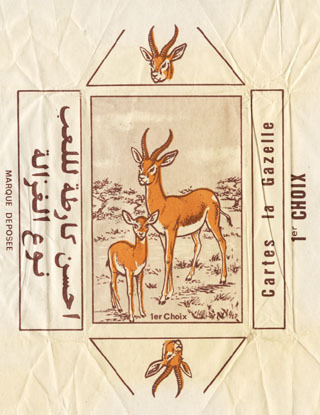 Cartes La Gazelle, manufactured by Imprimerie de L’Entente, Casablanca. 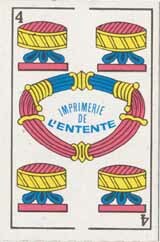 40 cards in paper wrapper, square corners. 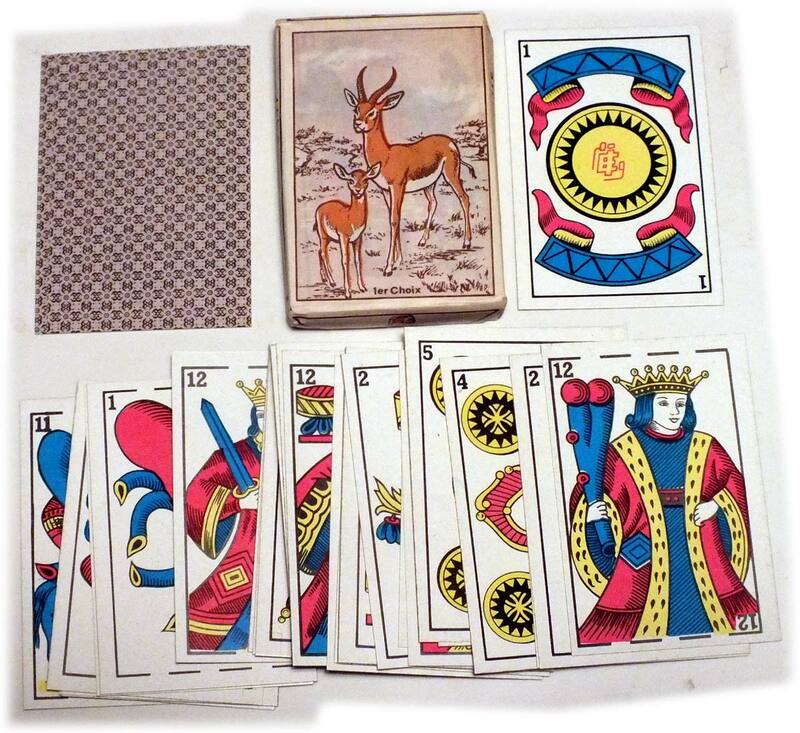 Above: attractive paper wrapper and four cards from "Cartes La Gazelle", manufactured in Morocco by Imprimerie de L'Entente, Casablanca. 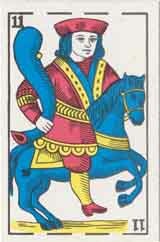 40 cards.